When Marco Beltrami was asked to score director John Moore’s remake of The Omen, it’s difficult to know whether he jumped for joy, or groaned in dismay. Jerry Goldsmith won his one and only Academy Award for his score for the original Omen in 1976, and in doing so added a new dimension to the way horror movies are scored: the ‘Latin Chant’ has become so-over used these days that it’s almost a cliché, but back in the day when Goldsmith first used them, they were groundbreaking. Beltrami is, of course, a former student of Goldsmith’s at USC, and so stepping into his great teacher shoes must have been a daunting prospect indeed. The wonderful news is that, ultimately, Beltrami has produced a wonderful modern horror score which is original to Beltrami’s musical sensibility, but can also stand as a loving homage to his mentor. The new film, which stays very close to David Seltzer’s screenplay for the original, concerns the American diplomat, Robert Thorn (Live Schreiber), and his pregnant wife Katherine (Julia Styles), who move to England when he is appointed Ambassador to the United Kingdom. Things go well until Katherine gives birth to a stillborn child. Unknown to Katherine, who is unaware of her infant son’s death, Robert secretly adopts another infant to replace their dead son, a boy who they name Damien. However, as the years pass, more and more terrible events occur in the Thorn household, until eventually a terrifying and shocking truth is revealed: Damien is, quite literally, the antichrist – the Son of the Devil. Many people have questioned the necessity of remaking a film as well loved, and comparatively recent as The Omen: only 30 years have passed since Gregory Peck, Lee Remick and young Harvey Stephens scared the bejeezus out of us. Has Hollywood really so run out of original ideas for mainstream films that it has to resort to recent remakes? 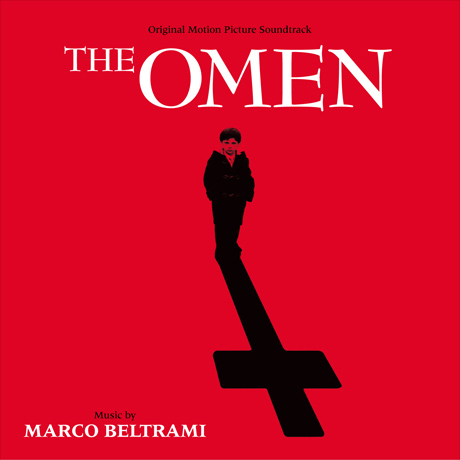 In many ways, Marco Beltrami has a thankless task in scoring this film: Goldsmith fans won’t like the new Omen because it’s not Goldsmith; some will decry it because it’s too similar to Goldsmith’s work; others will claim it’s not like Goldsmith’s enough. He can’t win. Personally, I think Beltrami has succeeded admirably in walking a musical tightrope and working hard enough to please everyone. It’s got enough of an original personality to obviously be a Beltrami score, but it’s also got enough of the 1976 score in it to keep fans of the film franchise and Goldsmith’s music happy with the results. The first, and most noticeable thing about The Omen is its comparative lack of choral writing. Beltrami DOES make use of voices throughout the score, but they are not the driving force of the work in the way that they were in Goldsmith’s original. Some people will dislike this; personally, I don’t miss them at all. When they appear, they are welcome additions to the score; when it’s purely the orchestra playing, Beltrami’s writing is strong enough not to need it. What Beltrami does instead is have his choir whisper the deconstructed lyrics of Goldsmith’s famous ‘Ave Satani’ quietly, faintly. The effect is, at times, quite bone-chilling, as though the choir is the disembodied voice of the Devil himself, subliminally calling to you and drawing you in. They first appear at the end of the rhythmic “Main Title”, feature disturbingly during “Damien’s Deliverance”, have evil intent in “More Tantrums” (which features a creepily effective sequence where the orchestra is playing backwards! ), and end the score on a distinctly twisted note in “Boy Genius”. Only during the finale, “Omen 76/06”, does Beltrami let rip with a full-throated statement of the ‘Ave Satani’ theme, but even here he adds his own spin to the legendary demonic dirge, letting the violins perform a danse macabre around the gothic chanting. The purists will hate it, but I applaud Beltrami for having the gall to play around with a classic. The attractive ‘family theme’, a delightful variation on Goldsmith’s ‘Piper Dreams’ theme from the original film, is really the only recurring motif in the score. It first appears towards the end of “The Adoption” as a soft woodwind solo, and gradually grows to encompass the full orchestra, sweetly illustrating the Thorn’s joy at their new arrival, unaware of the horrors his presence will bring in years to come. The lush recapitulation in “New House”, and the sorrowful solo piano version in “The Funeral”, reminds us just what a delightful melody writer Goldsmith was, and how much we miss him. Kudos to Beltrami for being altruistic enough to set aside his own musical vanity. Throughout the score, Beltrami isn’t afraid to let his orchestra play to the dissonant limits of their ranges. Horror movies have always allowed composers the freest reign to indulge in vicious, ambitious, progressive orchestral writing, and Beltrami doesn’t pass up an opportunity to send his violins into convulsions, make his percussionists work overtime, and virtually kill his brass section. “The Nanny’s Noose” concludes with a wonderfully impressionistic explosion of noise that is part-Herrmann and part-Horner; “Damien’s Tantrum” offsets an angelic array of light voices with slashing, Herrmannesque string writing; “Scooter” is a wonderful exercise in rhythm and movement which works in some sensational low-register writing for raspy trombones and a contrabassoon. The action writing is also especially impressive, coming across as an aggressive variation on the unusual, spiky action music from recent works such as Hellboy and I, Robot. In cues such as “Ambassador Gets Fired”, the energetic “Dogs in the Cemetery”, and especially “Altar of Sacrifice”, Beltrami lets his orchestra run riot, a mass of slashing strings and brass trills and bombastic percussion. The mesmerising trumpet performances during “Altar of Sacrifice” are tremendously difficult, and hugely impressive. The only real miscalculation is the short “Drive to Bugenhagen”, another exercise in kinetic motion, but which for some reason includes a cache of vaguely Middle-Eastern percussion instruments and a dreaded ‘wailing woman’, making it sound like a refugee from a different score – Dracula 2000, or Howard Shore’s The Cell, perhaps. Is it sacrilege to say that I like Beltrami’s Omen better than Goldsmith’s Omen? Possibly. I know that, as an actual listening experience, I enjoy the new version more than I do the old one. The difference is the legacy: Goldsmith’s score had an enormous influence on the horror genre as a whole, and for this reason alone can probably be classed as a ‘better work’. Beltrami, though, more than impresses with his boldness and willingness to experiment, and anyone who had become an admirer of his style over the past few years will find a great deal to enjoy. The more I hear his music, the more I’m starting to think that Marco Beltrami is the natural successor to Jerry Goldsmith. Rather than rolling over in his grave, the old master will likely be applauding the young pretender. Music composed Marco Beltrami. Conducted by Pete Anthony. Orchestrations by Pete Anthony, Bill Boston, Marcus Trumpp and Dana Niu. Music from the 1976 film “The Omen” composed by Jerry Goldsmith, arranged by Marco Beltrami and Bill Boston. Recorded and mixed by John Kurlander. Edited by Alex Gibson. Album produced by Marco Beltrami.